Lauren is a beautiful Austrian make-up and style blogger. She has many followers and girls really love her. Today she is going for a traditional outfit and then she will post even more pictures and stories. Let's help her do the perfect make up and choose something in the austrian style to wear! Lauren is already waiting for you to come and make her a company. Give her a special Austrian make-up, choose an exclusive traditional dress. If you will like it you can take it as your new style in future. 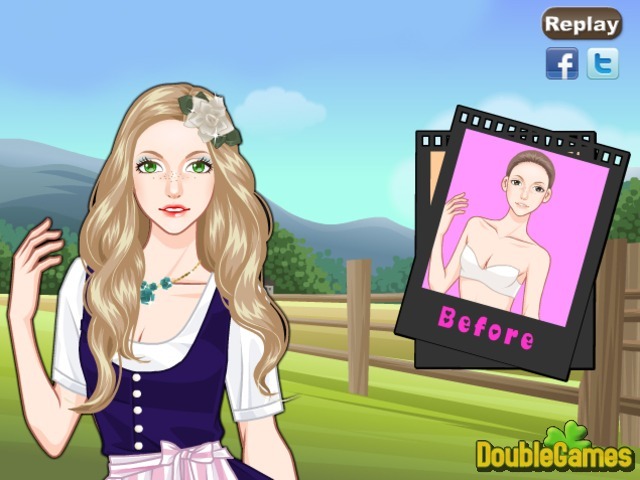 Play this fashion free online game Austrian Girl Make Up now. Title - Austrian Girl Make-Up Online Game Description - Have fun with Austrian Girl Make-Up, a Time Management game devised by didi Games. Lauren loves experimenting with different styles and today she's gonna is be an Austrian girl.